Since his veto of the infamous SB 6, a top priority for Republican leadership in Tallahassee, there has been much speculation about Gov. Crist running as an independent for the US Senate. Weeks ago Crist said he would not be leaving the Republican party to run with no party affiliation, but recent comments suggest otherwise. He has been quoted as saying "Things change" and that he wants to listen to "the people" before he makes a decision. He has to make a decision by April 30 to qualify for the US Senate race. Much has been said about Crist's chances if he does run with no party affiliation, will he take more votes from Rubio or Meek? Republican Party Chairman (and sitting state senator) John Thrasher has said if Crist can't beat Rubio as a Republican, he should think about politics all together. Frankly, I think this is interesting commentary on the state of the Florida Republican Party. Whatever happened to the honest political debate of ideas? SB 6. This so- called "education reform" would have tied teacher pay to standardized tests and as one representative put it "run schools more like a business." Thank goodness Crist vetoed it. Leadership funds. This "election reform" legislation would have allowed legislative leadership to raise unlimited election funds for themselves and their friends. Yee-haw! Thankfully, Crist vetoed this as well. This is only one of many "election reform" bills that seek to maintain control and limit citizen access to the democratic process. Medicaid reform that would privatize parts of the system. Currently, they are working on repealing the provision in state law that prohibits the state from giving funds to religious institutions, you know, that whole separation of church and state thing. Limiting a woman's right to choose. Each year the legislature proposes several measures to chip away at a woman's right to privacy. Hopefully, the worst of these bills won't make it through this session, but that's thanks to a lot of hard work from groups like Planned Parenthood. This conservative legislature is completely out of touch with the average Floridian. The lengths that they are willing to go to in order to hang on to their overwhelming majority and assert their will onto the people of this state, is alarming. They won't allow an honest and open debate of anything because they are scared of what will happen if they do. There have been a couple of bright spots this session, Equality Florida has had one of the most exciting legislative sessions we have seen so far. This is because of the relationships we have been able to build after years of working with the legislature. With Fair Districts, and fair representation in Tallahassee, I know we could achieve even more. 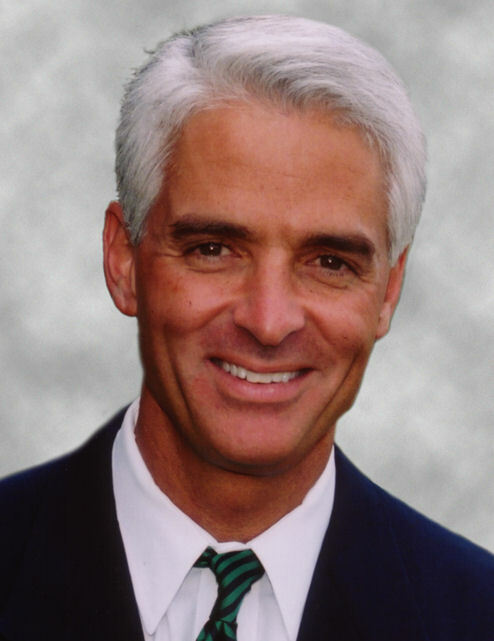 I applaud Crist for taking a stand, even against members of his own party, to do what is right. Who knows what will happen in the Republican primary, or to the political career of Charlie Crist. But given the very serious problems our state is facing, I can only hope we stay committed to an open and honest political discourse.